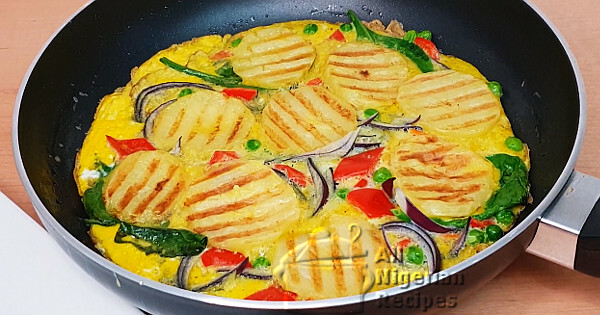 Breakfast meals in Nigeria are quick and easy to prepare. They are usually meals you can rustle up and eat before you dash out on a working day. Most Nigerians still prefer to eat leftovers from the previous day's dinner because they love it. For others, they do so due to lack of breakfast meal ideas. Some only take the good old bread and chocolate drink before dashing out to beat the rush hour. Agidi and Pepper Soup anyone? 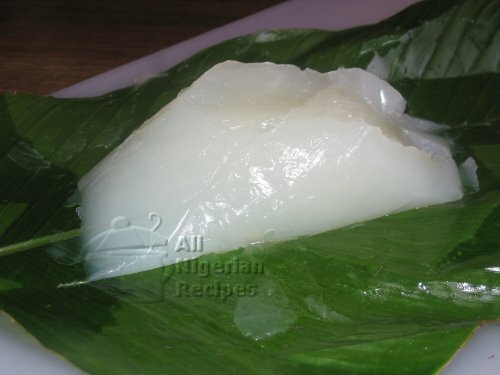 White agidi may look plain but it goes well with lots of foods, even soups. 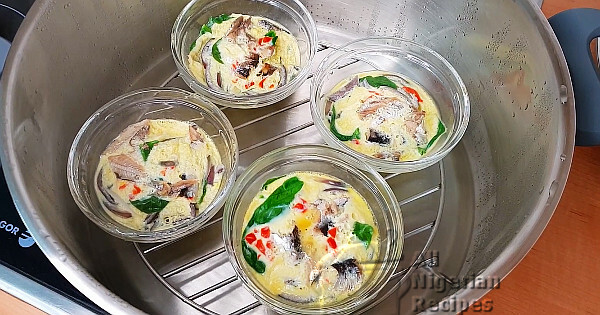 Egg Moi Moi is the low carb version of Nigerian Moi Moi prepared with eggs as a base. This Potato Omelette is a spin-off of the Spanish Tortilla de Patatas. This is a whole different way to enjoy scrambled eggs and bread. Here’s how to make the perfect hard-boiled eggs with moist and yellow egg yolks. 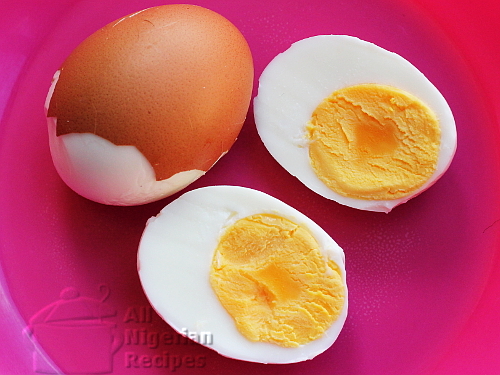 No unsightly green colour around the egg yolks. 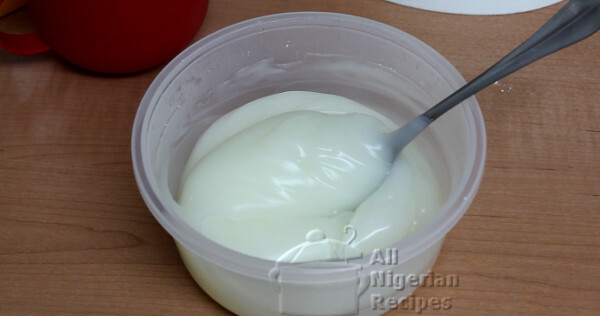 Agidi is like jell-o made from corn starch. It is the perfect match for Nigerian Pepper Soup and Akara. Some people eat it with Moi Moi. 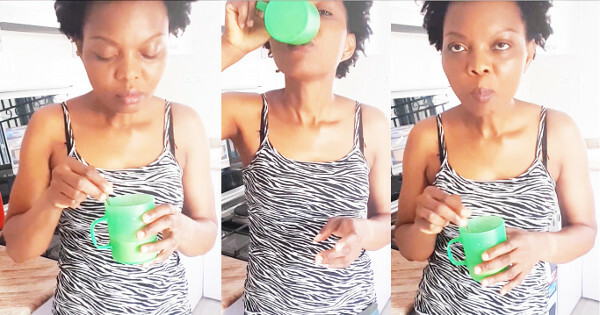 What we call tea in Nigeria is not what the rest of the world calls tea. Find out. You don’t like Fried Eggs? 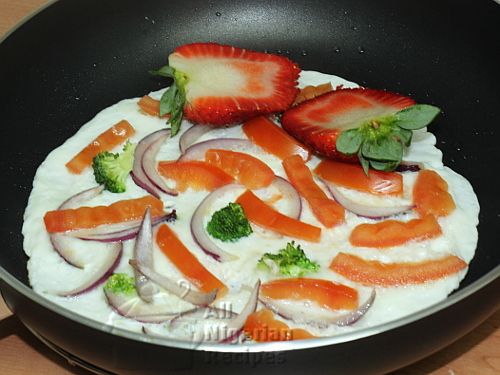 Try it this way and enjoy fried eggs with the rest of the family. 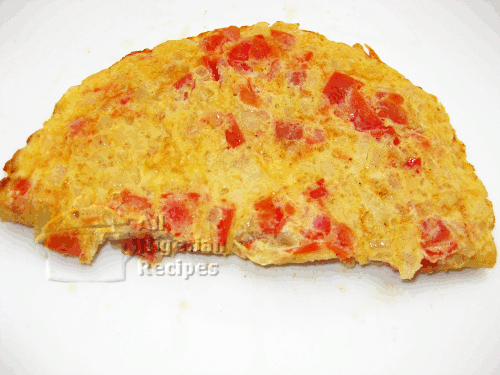 Tomato Omelette is perfect with slices of bread, fried plantain, fried or boiled yam. 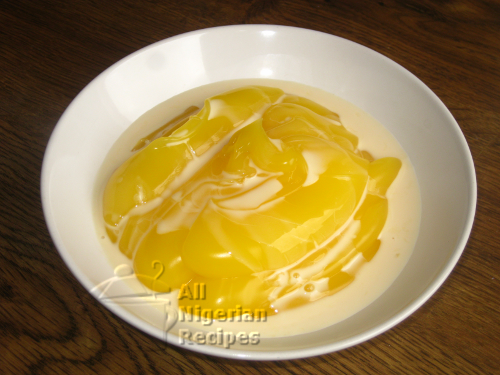 Custard is a popular half of most Nigerian breakfast meals. This is definitely a simple but versatile meal. 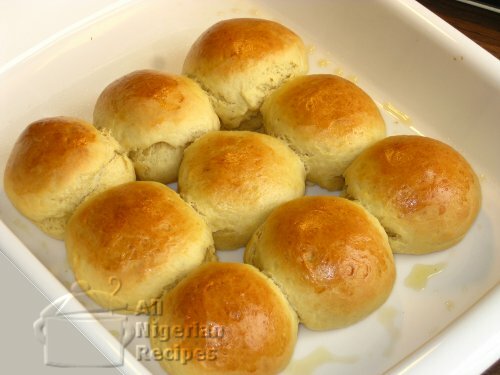 Bread rolls are perfect with chocolate drinks, tomato omelette, fried eggs and you can even eat it with western soups! 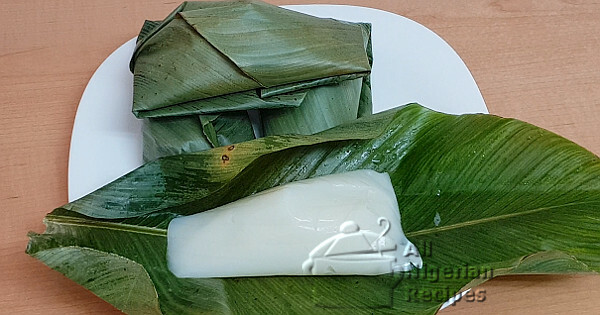 Nigerian Akamu (Ogi or Pap) with the distinctive sour taste is the traditional version of custard meal. 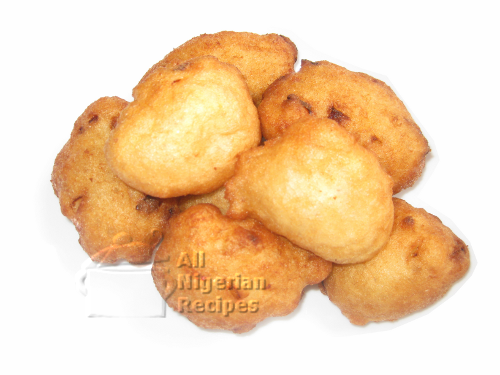 When you smell Akara from a distance, you just want to eat it. 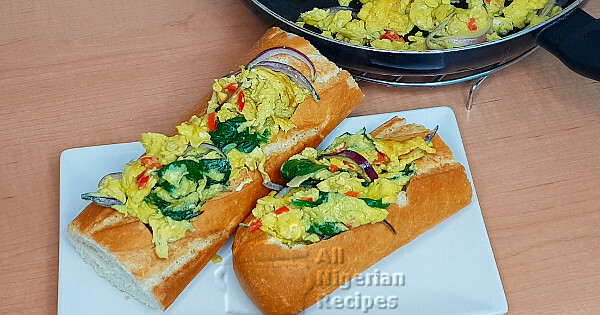 Find out why this Nigerian breakfast meal is so good.